A few years ago, I embarked on a pilgrimage hike in Japan. 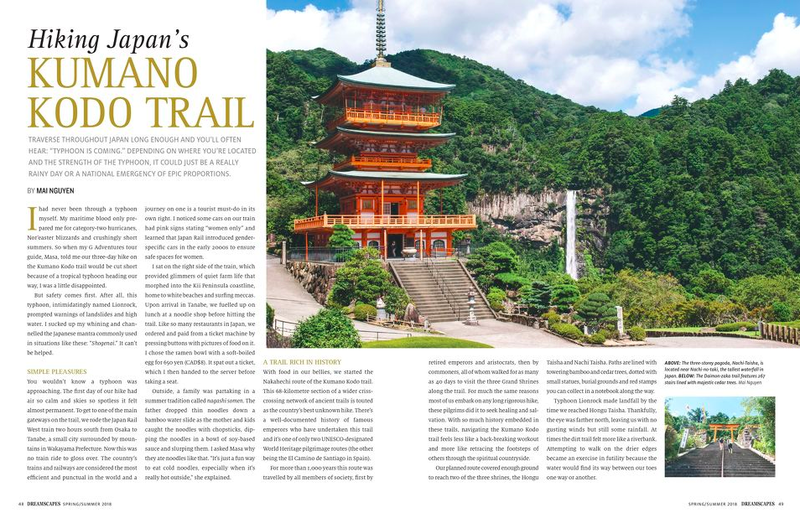 We took the same trail that many an emperor and aristocrat used to take thousands of years ago to purify their bodies. To be honest, I felt more sweaty than purified by the end of our three-day hike, but after a one-hour session in a hot spring I basically felt like an emperor. Here's my story in the summer 2018 edition of Dreamscapes magazine.